eSports betting is one of the most exciting and eagerly anticipated betting categories in 2019 and figures show the industry could well be worth $1.5 billion by 2020! Read on to find out how you can get in on the action and add eSports to your betting strategy today. Whilst eSports hasn’t yet hit the mainstream and it’s still a relatively niche market, there are plenty of bettors already taking part. In this article, we’ll look at why you should join them along with a list of the most popular eSports betting sites in 2019. This may be the first time some of you have heard of eSports, so here’s a little introduction before we look at the best eSports betting sites. eSports stands for ‘electronic sports’ and it refers to multiplayer video games where players compete online. Teams of professional gamblers compete against each other just like they would in physical sporting events. Since the rise of the internet and online gaming, the eSports industry has grown massively. Games and tournaments take place each week where spectators can either watch the event live or stream it online. Due to the popularity and potential of the eSports market, the bookmakers are starting to get in on the action. More and more individuals are coming across the up and coming category meaning there’s more in it for the bookies. Furthermore, the bookmakers now offer a wide variety of eSports markets to cater for the increase in popularity and demand. Thanks to the ease of online and mobile betting, placing a wager on your favourite gaming team is just as easy as betting on Man City to win the Premier League. So now you know a little more about eSports betting and how easy it is, let’s look at the bookmakers offering the best eSports platforms. As you may know, the bookmakers are not created equal. As usual, there are some betting sites that offer superior services in terms of eSports betting. Therefore, it’s up to us to sort through them and pick out the best ones. The eSports betting market consists of traditional online bookmakers like Bet365 and Ladbrokes and newer, more niche bookies that primarily focus on eSports like esportsbetting.com. Both types of bookie have their pros and cons which we’ll look at below. Here are the top three eSports betting sites that I recommend you check out. Being the largest online bookmaker with over 30 million customers, Bet365 aren’t going to miss out on any eSports action. Overall, Bet365 should be one of the first bookies you consider when it comes to eSports betting. They certainly won’t let you down. Another traditional sportsbook, Betway were one of the first bookies to offer eSports markets. They even have a dedicated section of their site specifically for this category. Unfortunately Betway don’t offer any live streams of the events meaning they lose out to Bet365 in this regard. Having said that, Betway still offer an awesome eSports betting platform. Next up is a newer bookmaker on the scene that primarily focuses on eSports betting. This platform has been growing rapidly over the last year. However, for some reason they are currently not available in the UK. Despite being much smaller than the other bookmakers mentioned in this list, eSportsbetting.com have a distinct advantage in that they are a niche site. They know exactly what eSports bettors are after. Overall eSportsbetting.com are a great option for those of you looking to place eSports bets. They were the first dedicated eSports bookmaker meaning they should be one step ahead of the competition. One of the questions we get asked a lot is how you bet on eSports? Thankfully, betting on eSports is incredibly easy. It’s exactly the same as betting on other, physical sporting events or markets. You simply select the team you think are going to win and place a bet on them. As simple as that! I think people are often confused as the events are virtual and take place over the internet. However, that doesn’t have any effect on how you place your bets. As the eSports betting market has grown, so has the overall experience the bookmakers offer for this category. For larger gaming events like The International, you can now watch live streams on the bookmakers website just like you can for horse racing etc. Generally, these live streams are restricted to those who place a bet on the event but they’re still an awesome, exciting way to watch eSports. Whilst betting on eSports may still be alien to some of you, it’s certainly something you should consider due to the excitement and popularity. As you can see, this industry is already incredibly popular reaching millions of people. What’s more, you can bet on all of the events mentioned above meaning the potential of eSports betting is far reaching. As I mentioned earlier on, the eSports industry is predicted to be worth $1.5 billion by 2020 with 385 million global viewers. That figure will certainly look very appealing to bookmakers that aren’t currently offering a comprehensive eSports platform. Whether or not the eSports gaming industry realises this potential, we’ll have to wait and see. One thing’s for sure, this is certainly a market to keep your eye on. You don’t want to miss out on any of the action. As the high-street betting shops continue to struggle in 2019, is there a glimmer of hope that eSports betting may come to the rescue? Unfortunately not… You won’t be able to place an eSports bet in your local bookie. Heck, some of the staff don’t even know what it is. As you probably guessed, you can only place your eSports wagers online. Whilst this makes the whole process incredibly easy, it’s a shame to see the high-street bookies continue to close up shop. Can you win at eSports betting? The big question a lot of you will be asking is whether or not you can actually win at eSports betting. At first, I was very dubious of the entire eSports betting industry. How do you know it’s not fixed? The gambling industry is already filled with catches and loopholes and it’s not the most transparent industry. However, over the years and as the category has gained popularity, I’ve grown to trust the eSports market more and more. Now I just see it as one of the markets the bookies offer. Some of you reading this article may be interested in matched betting and whether it’s a possibility with eSports. 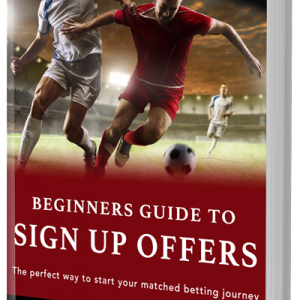 As some of you may know, to make a risk free, guaranteed profit with matched betting you need to use a betting exchange to place your lay bets. So to make money with eSports matched betting, there needs to be a lay market available. Betfair offer a number of eSports betting markets on their exchange platform meaning matched bettors can potentially profit from this category. However, the markets are currently somewhat limited. At the time of writing, there are only a few markets available. Furthermore, the liquidity is also rather low meaning it may be difficult to place your lay bets. Smarkets don’t offer any kind of eSports betting markets meaning you’ll need to stick with Betfair for the time being. Nonetheless, you can see the potential of this category and I think matched betting on eSports may be very profitable in the near future. All in all, eSports betting is a category with a huge growth potential. It should certainly be something you consider when you next place your bets online. One of those three bookmakers should certainly be suitable for your needs. Which is your favourite eSports betting site? Was it included in this list? Let me know by leaving a comment below right now.